Here at Elite we have a proven track record of getting motorcycles from the UK to anywhere in the world for the last 30 years. We can provide you with the most cost effective transport solution to getting your motorbike to your chosen destination. With our excellent network of overseas agents as well, the whole process from collection to delivery is very smooth and stress free. Every bike has a custom made wooden case made for it. 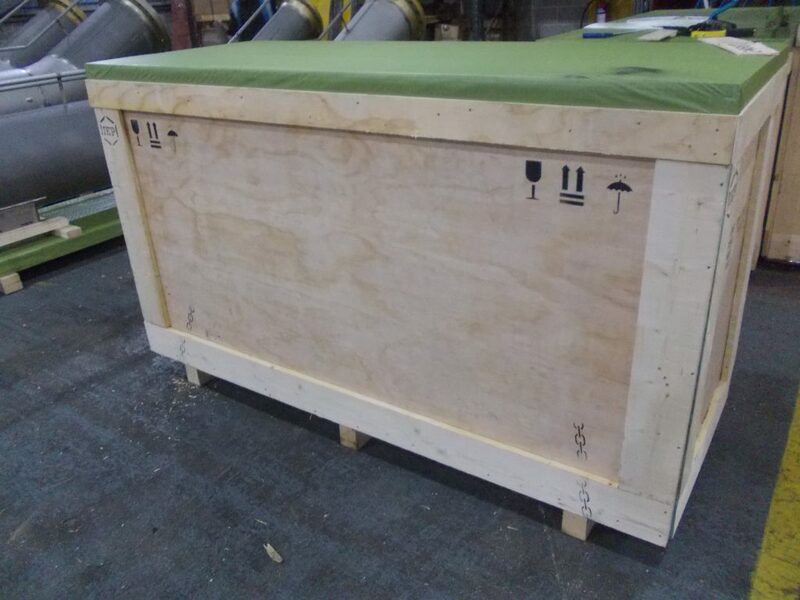 Our cases are made from heat treated timber that meets the ISPM15 regulations that most countries now require for wooden cases and crates. You can either deliver your motorcycle for crating or, if you unable deliver it to us then we can come to you and collect it. You can also add other items into the crate as well. 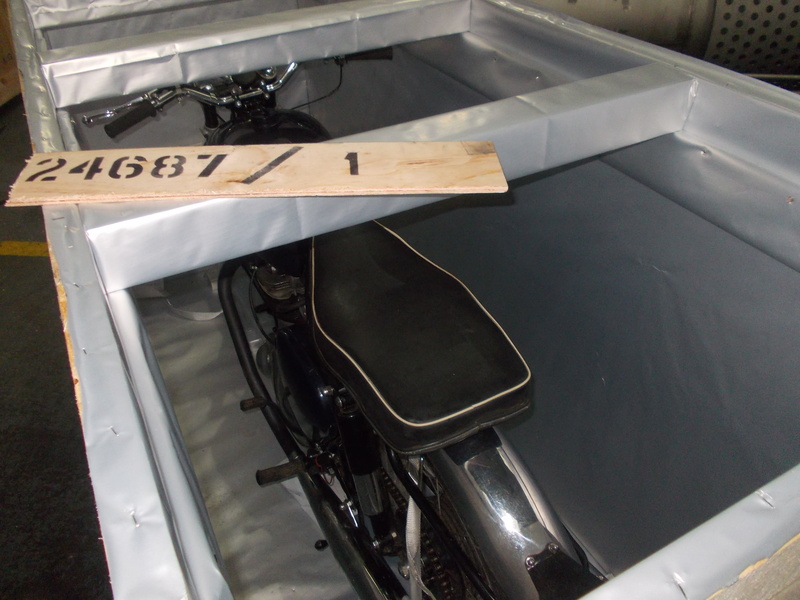 This is very important to check BEFORE you ship your motorcycle abroad. Does the country that you want to ship your motorcycle to allow you to import your vehicle? Are you required to have an import license in place before your ship it? This is where Elite can help as well, if you are not sure as to what you have to ask or who to ask for answers to these questions, we can either answer them for you or point you in the right direction to the people or government office that can provide you with the answer that you are looking for. Once you are sure that you can ship your motorcycle to the country you want, we take care of all the relevant UK export paperwork on your behalf, this includes the UK customs entry. This is an optional service that we can offer you via our insurance broker. It isn’t a requirement that you have to have marine insurance in place before you export your motorcycle but it is advisable and prudent to do so. 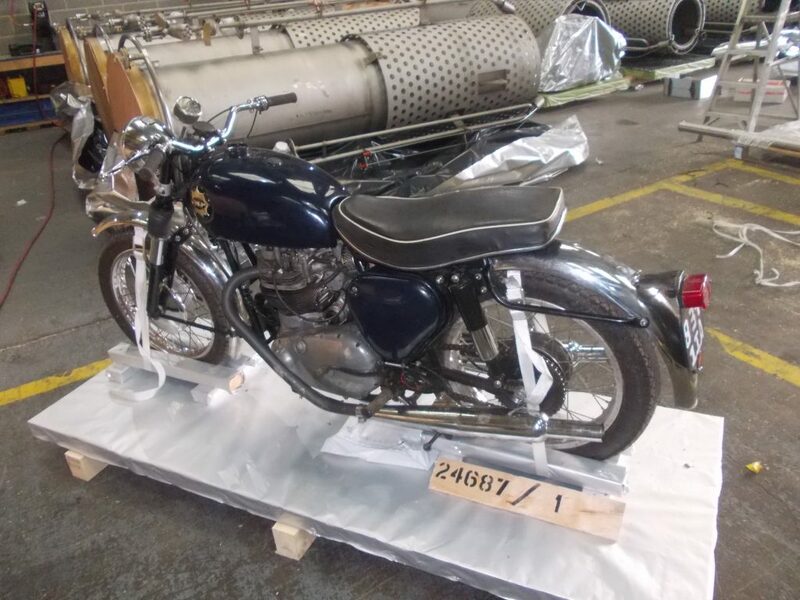 It is highly unlikely that your motorcycle will incur any damage in this day and age of modern shipping but you will have the peace of mind that if in the unlikely event that something does happen, your motorcycle is covered. 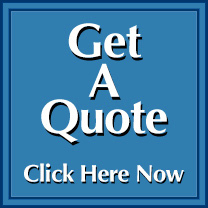 Call us today to discuss anything you would like to know about shipping your motorcycle, in 30 years we have acquired a lot of knowledge, so we are confident we can answer your questions and set your mind at rest.